Although I try to avoid to use word processors like LibreOffice Writer, sometimes - mainly for collaboration purposes - I have to fall back on them. And in such hard times I want to have at least some useful keybindings. 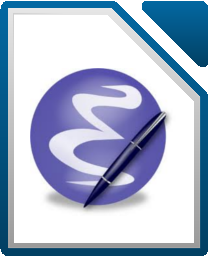 Because I couldn’t find any downloads that provide Emacs bindings for OpenOffice/LibreOffice Writer I configured the basic bindings which you can download here. Maybe the supported bindings grow from time to time. But as a starting point these are my personally most often used basic keybindings. Feel free to add your own ones and let me know it.